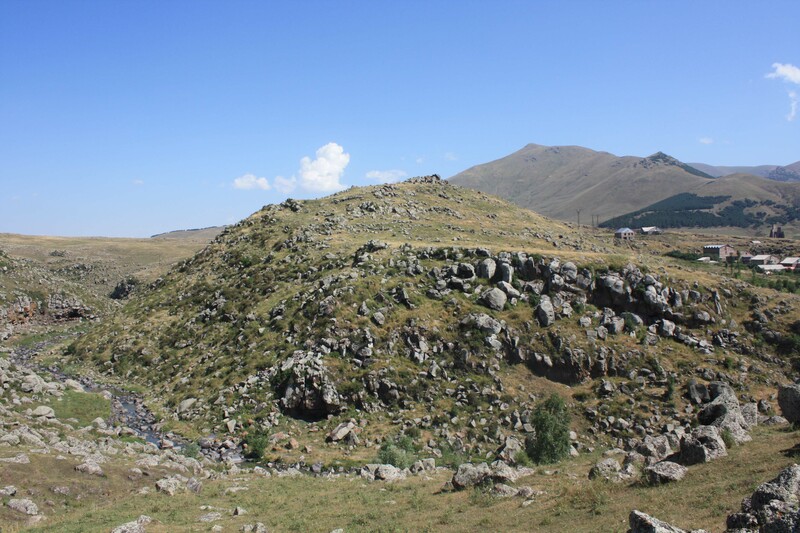 Project ArAGATS began its 2015 season last week, continuing excavations at Gegharot and Tsaghahovit and continuing a new program of survey in the Upper Kasakh river valley. We also initiated a new program of excavations at the site of Aparani Berd on the outskirts of the town of Aparan. The site of Aparani Berd seen from the south. 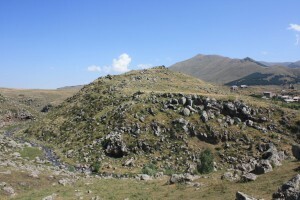 These new excavations represent the first systematic efforts to explore the remains of one of the largest sites in the upper Kasakh river valley. Stay tuned for updates. This entry was posted in Fieldwork and tagged 2015 Season. Bookmark the permalink.